Beat the Heat! 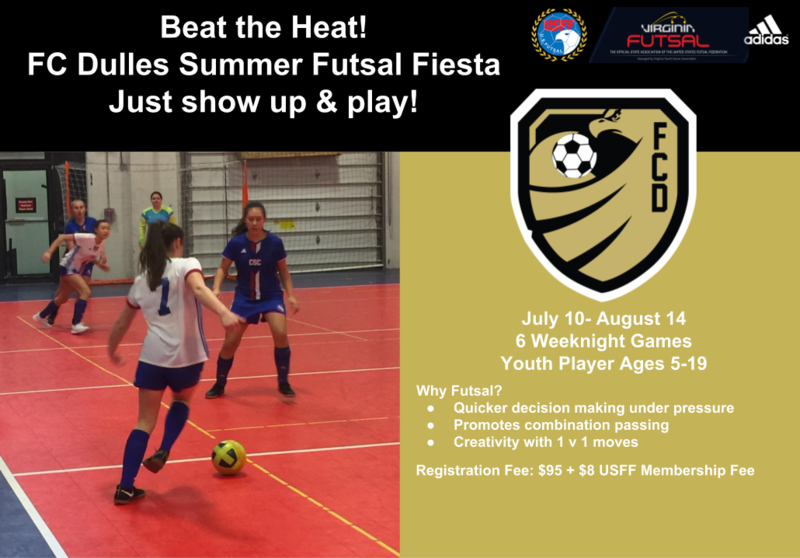 The FC Dulles Summer Futsal Fiesta is six weeks of action packed futsal fun for boys & girls ages 5-19. Pay one fee and just show up and play! Each session players are placed on teams according to skill level, size, age, and gender. Sessions are one hour long with a mini-festival scheduled for the last session with awards and prizes! Fees must be paid prior to participation.